Make certain that you read right to the bottom for a complete listing and links to My Father’s Music, specific to pieces you hope to explore! Every family has some one interested in archiving history. I hope that it’s to my sibling’s benefit and enjoyment that I should write some notations about our father’s music. Nothing gives me chills like the memory of hearing my father singing solo music, especially through the years when I had Mom’s hand to hold onto at the very same time. 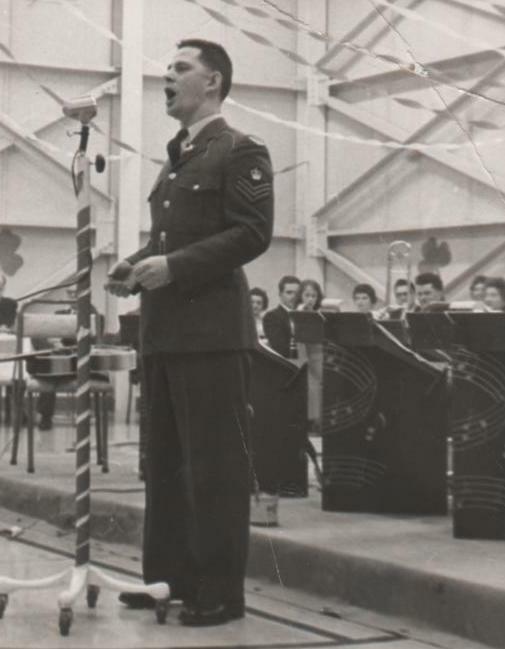 I’m hoping that my blog gives my family opportunity to enjoy the history and perhaps my father’s narratives as they relate to each piece of music. My images are all scans from my father’s old black paged album…the kind with licked corner pieces. Having attended the opera, The Magic Flute, with Doug and Erin this past Friday night, I was remembering the fact that both my mother and father had periods of their life when they were on stage. My father, in musicals and operettas, and my mother in Mystery Plays in Sherbrooke, Quebec. I’m posting a few photographs here. The first photographs…The Wishing Well Operetta. Mom in 2 Mystery Plays in Sherbrooke. Later, Dad added that he must have labeled the picture incorrectly, because their choir was singing, Stainers Sacred Oratorio “God So Loved the World”. For histories and narratives on My Father’s Music, click on the link below. The pull down menu on my main page is becoming too cumbersome.